A skilled journalist, interviewer, profile and feature writer, Brenda Dayne has won international respect and acclaim for her innovative work as the creator and host of Cast On – a podcast devoted to her favorite subject in the world, knitting. 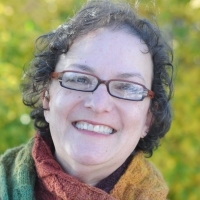 An accomplished editor, she blends original, thought provoking stories, from a variety of writers, designers and artists, with independent music, to craft insightful programs about knitting and life. An early adopter of podcasting technology, she has written, recorded and produced over 80 hours of knitting-themed programming, creating a demand, and opening a new market for knitting-specific audio content. Since its inception Cast On has been downloaded over 1.3 million times, and the website at www.cast-on.com currently receives over 250,000 unique, intelligent and attractive visitors monthly. Born on the west coast of the United States, Brenda spent most of her youth in Portland, Oregon, the recipient of a charmingly middle-class life and an expensive education. An experienced rabble-rouser and long-time apple cart upsetter, Brenda has been writing manifestos since her fifth grade teacher disallowed dancing at recess. While struggling with the question of what to be when she grew up, she subjected herself to a series of personality tests, designed to analyze her strengths and weaknesses. From this information she hoped to learn what sorts of work she was most likely to be good at and what career paths were most likely to make her happy. Her choices, as defined by this particular test, were as follows: landscape architect, historian, or writer. Unsurprisingly, to those who knew her well, she chose none of these paths. Through a series of jobs Brenda circled the periphery of what might be called “creative professions” – kitchen design, graphic design, sales and marketing, advertising and copywriting – in a career trajectory best described as eclectic. And then she discovered knitting. Hindsight, as her father likes to say, is always 20/20, and looking back at that long ago personality test Brenda can see now what she couldn’t see then – that the path in life most likely to make her happy had nothing to do with what she did for living, and everything to do with how she did it. All that Brenda knows about life she learned from her knitting: that there’s no right or wrong way to do anything, only different approaches; that gauge is a suggestion, not a Commandment; that it’s supposed to be fun. 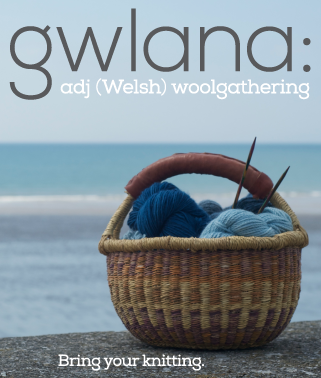 Since 2000 she has been living, knitting and writing from her home in the rolling countryside of Wales. A frequent contributor to Interweave Knits Magazine, as well as Interweave Crochet, she has interviewed and profiled numerous hand knit designers and artists, traveled widely, and written extensively about the knitting scene in Europe and the UK. Drawing on broadcast training she received during a mercifully brief stint in the US Army National Guard, and web skills honed during her years as a graphic designer, Brenda launched her podcast in 2005. Awarded a Production Grant from The Arts Council of Wales in 2006, her work as a podcaster has also been supported by International Business Wales and the Welsh Assembly in 2007-08. Brenda has been profiled on the BBC program Wales Today, has appeared on Radio Pembrokeshire’s Morning Program, and has been the subject of numerous feature articles, both in print and online. Brenda lives with her partner of ten years, Tonia Clarke in a small village in West Wales, where the ale is strong, the people friendly, and news travels fast. She is the mother of two fine young men, one of whom recently married a nice Welsh girl, and lives nearby, and one who still lives in Portland. 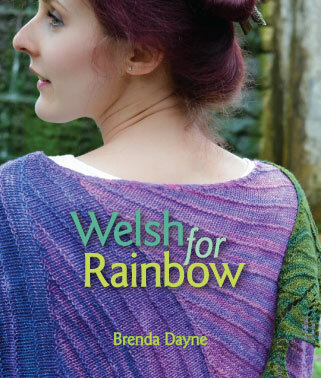 Brenda is a landscape architect in her own garden, and a local historian and expert on the Welsh textile industry.